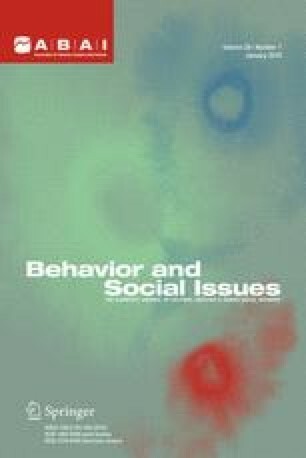 A number of primary-intervention studies with typical adults and children in open-community settings have been conducted in the area of applied behavior analysis. For example, communities and researchers have attempted to reach out to certain populations by designing and offering community-based prevention programs. In such attempts, the target individuals have not yet experienced the contingency between the participation and its consequence; that is, it is likely that the recruitment depends on antecedent control of participation. The present paper reviewed studies with group designs in which the individuals were recruited to community-based prevention programs. The selected studies were classified into the following four antecedent control procedures used in the studies: stating contingencies in the invitation; altering the value of consequence through the invitation; manipulating response effort; and others. After specific recruiting strategies used in the studies were examined, the authors concluded that many of the studies consisted of multiple and confounding variables. It is recommended future studies isolate the effects of different independent variables, rather than evaluate treatment packages.